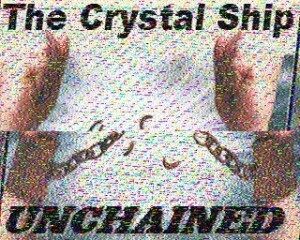 Looking through some of my archived recordings from the past month, I found this broadcast from The Crystal Ship, on the TCS Relay Network. Conditions were a little tough at the time and you'll hear some some SSB interference near the end, but the mix is worth it. I started this recording around 1:15 UTC on February 26th, 2013, on 6.9255 MHz, capturing the last third of the show (based on HF Underground logs).